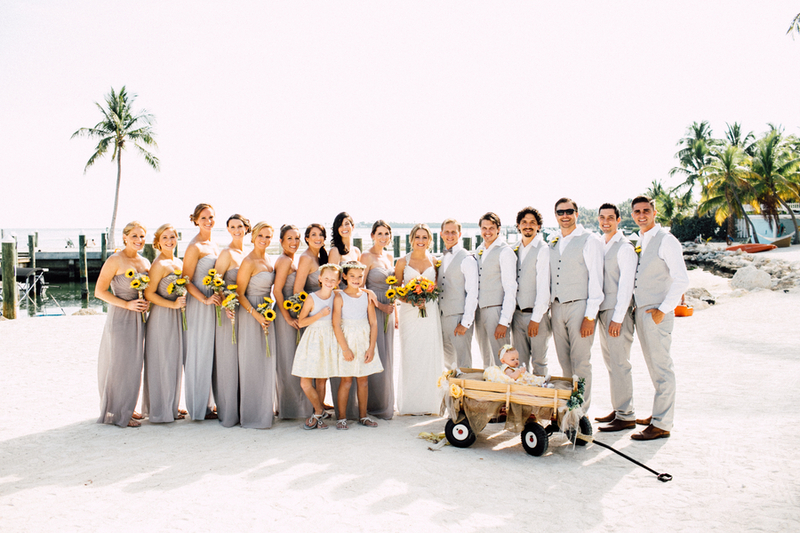 Kara + Scott vacation frequently in the Keys and wanted to celebrate their wedding day with their closest friends and family in a place they love. 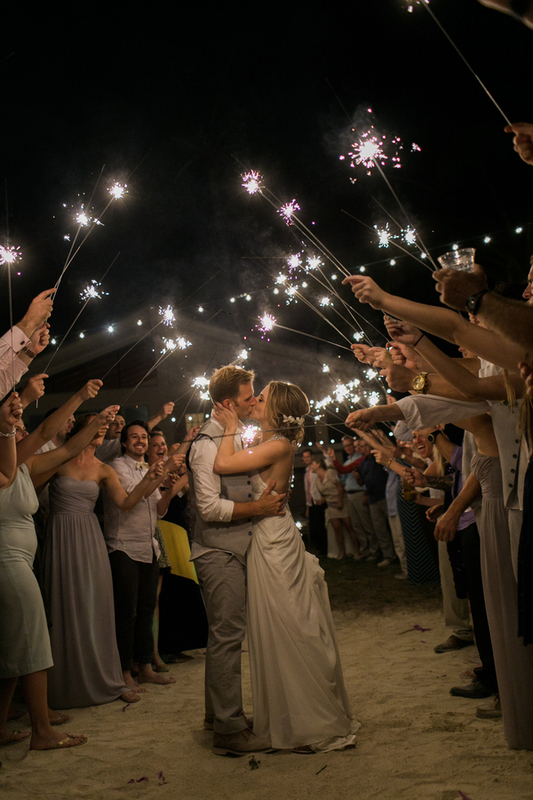 They rented a house within a resort in Islamorada, and after a small ocean front ceremony, they danced the night away under the stars with the smell of the ocean in the air. Michael and I had a wonderful time meeting Adrian and John. They are a sweet, spontaneous and adventurous couple! The radar was clear, but as soon as we all showed up to begin the portrait session it started to rain! But no matter – we were all determined to make the best of it. Adrian and John braved the rain and smiled through it all. Fortunately, the rain cleared up about halfway through and we had a beautiful, dramatic sky! 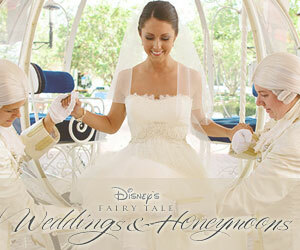 We are excited to photograph their wedding in May at the tower above Ca D’Zan at Ringling Mansion. makes a major entrance in a seafoam green custom Armani Privé gown with hand-sewn details, plus Tiffany & Co. Blue Book jewelry. wears an Armani Privé blue-and-purple gown with a chevron pattern, plus a jaw-dropping Bulgari diamond necklace and a coordinating clutch by the brand. accents her plunging custom Dior Haute Couture with a gazillion carats of Harry Winston jewelry (including a nearly 50-carat diamond necklace). wears a custom Ralph Lauren Collection liquid silk lamé gown with vine-inspired diamond drop Nirav Modi earrings. pairs her custom Atelier Versace royal purple gown with gathering at the waist with a perfectly-matched Bulgari diamond-and-sapphire necklace. wears custom Gucci with a crystal-and-pearl belt with a red lip and jewels in her hair. Born and raised on Long Island, NY, Marguerite is a sarcastic New Yorker who joined the Air Force at 18 to see the world. 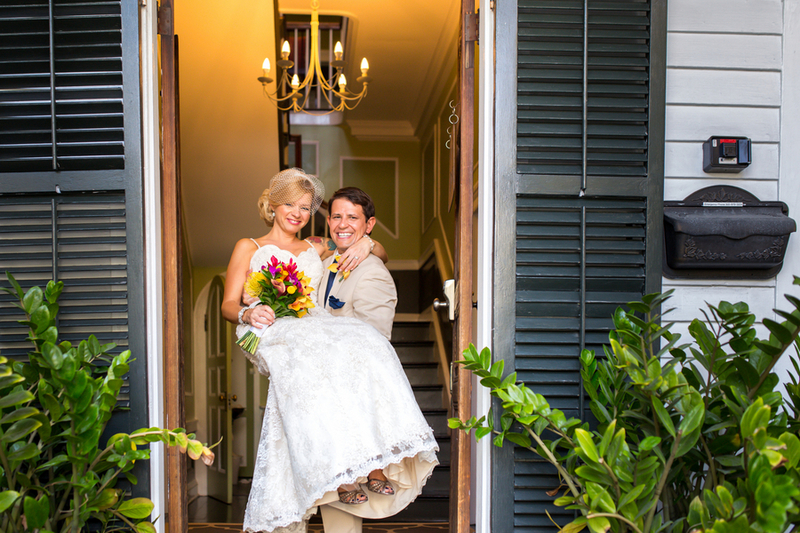 Her travels lead her to places like, Panama, Germany, Belgium, South Korea, Miami, and finally ending up in VA where she was fortunate enough to run into the groom.about groom – born and raised in the Washington DC suburbs, Ryan is a happy go-lucky kind of guy. After college in PA, Ryan returned to the DC area and worked on pursuing a successful career in government contracting, until he had the fortunate luck of meeting his future bride.how did you met – It was in the mountains of Nelson County Virginia and a music festival that happened to be at a brewery. We met at a music festival. 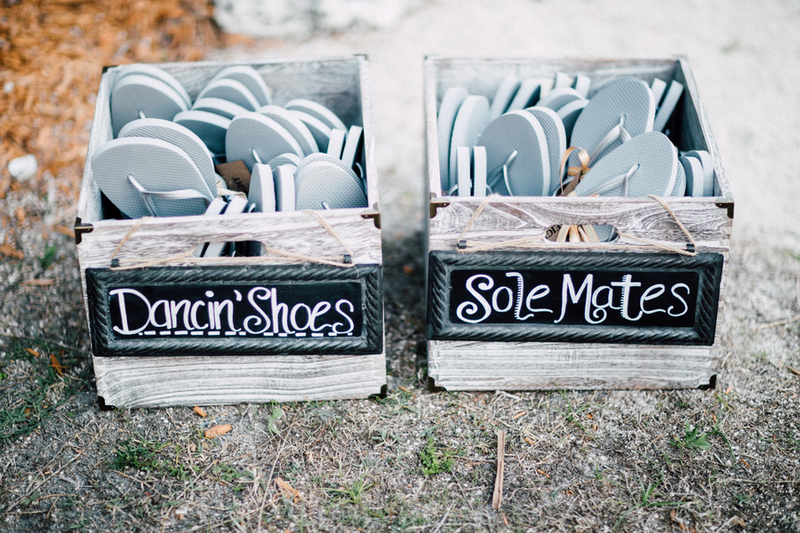 The grooms version- we met a bar, but in the end the bride offered to share her fries with the would be groom and it was love.who proposed and how – Ryan took Marguerite out to a Romantic French restaurant. After dinner the family (fur kids included) went on a walk on the beach during a sunset in Surfside FL. It was simple and gorgeous! 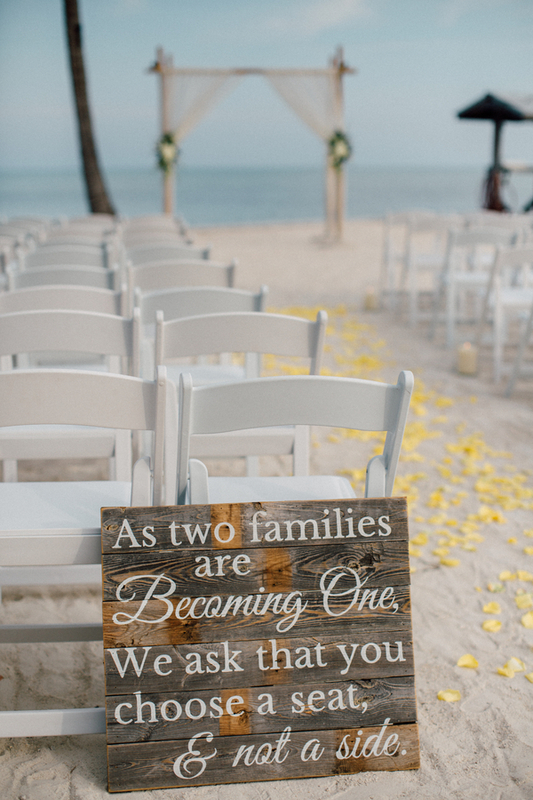 wedding theme/inspiration – We decided to let Key West and the keys be the theme/inspiration for our wedding. 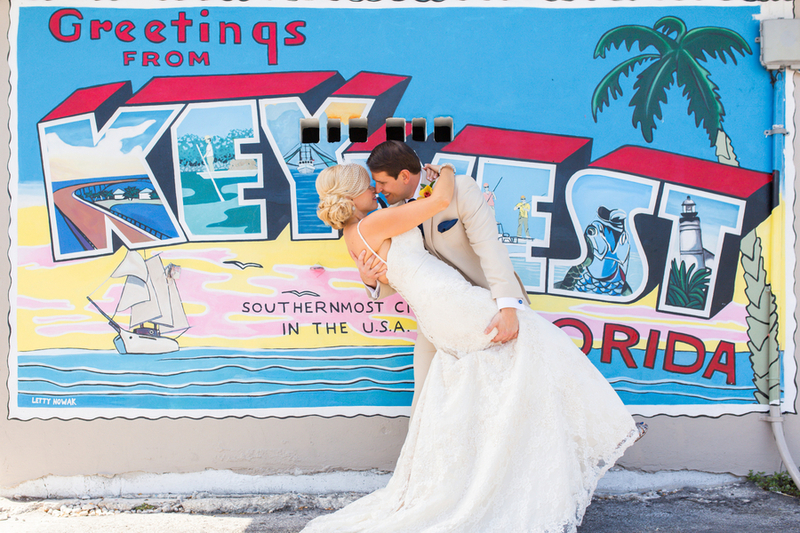 The tropical colors, flowers, perfect sunsets, dive bars and the old world laid back charm of Key West. 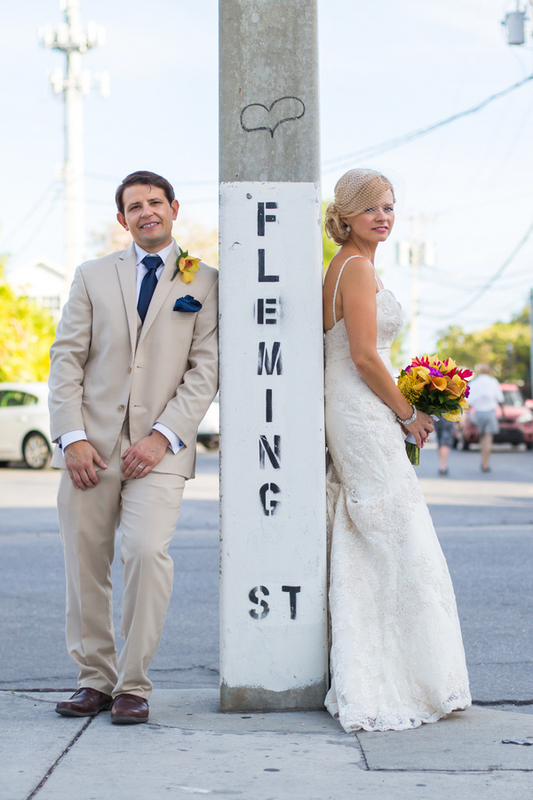 The bride did throw in some of her DIY skills with some maps flowers and map themed items.why Key West – We had made a trip to Key West for our second Thanksgiving together and the place has it all. Key West has always been just a relaxing, fun, come as you are type of location – just like we like to think of ourselves as a couple. We wanted to pick a location where all of our friends and family from every walk of life would feel comfortable and have a great time. 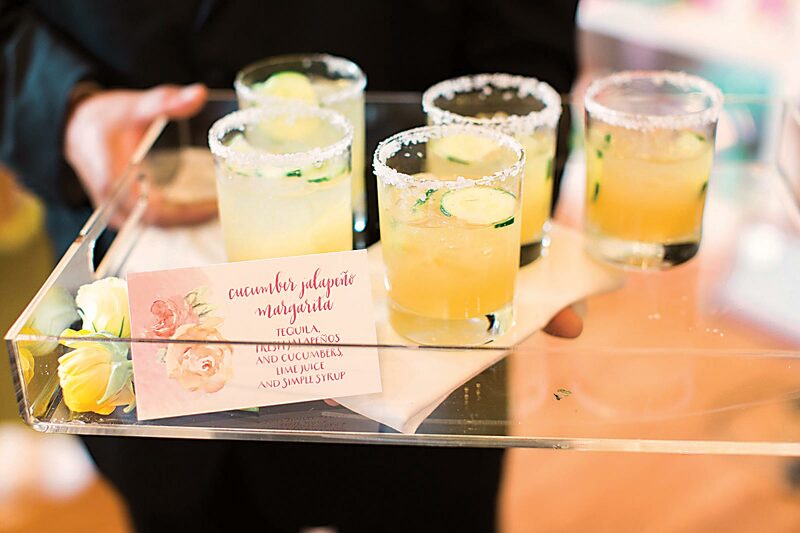 We visited Filda’s website after a recommendation from our Wedding Planner and really liked the photos. He brought out the use of natural light. We also were able to meet with Filda before we made the big decision, and just felt really relaxed and comfortable around him and that is exactly what we wanted on our wedding day. Our next step can go in many directions but at the moment we recently moved back to the Washington DC area for our careers. But we will always hold Key West in our hearts and now that there is a non-stop flight from DC, we will be definitely be back regularly. best moment of your wedding day. It was the end of the day, as we were changing out of our fancy clothes to get ready and head out on the town. 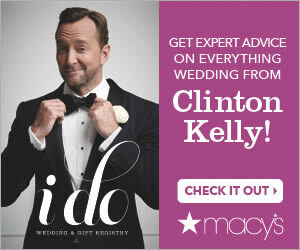 The day was just so fabulous and she realized she loved her new husband even more than her before. 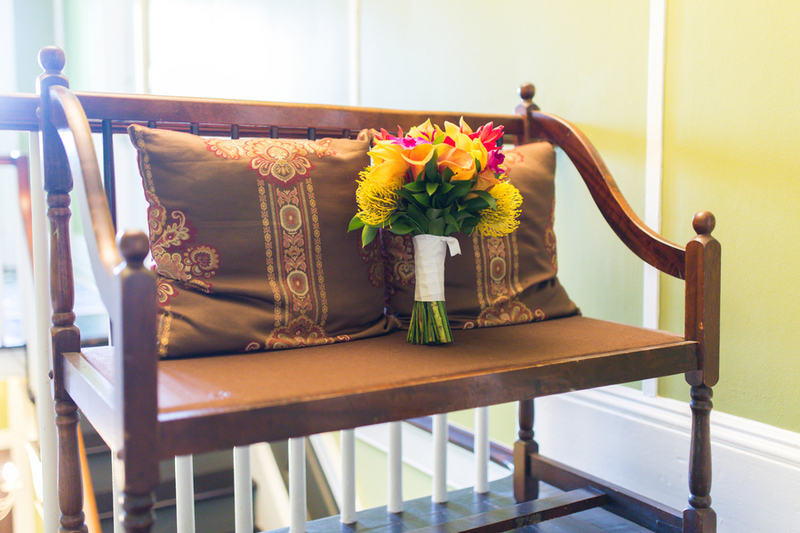 For the groom – It was waiting for the bride at the front of Old Town Manor. I had so many feelings happening at the same time. It was a special moment for her and I to enjoy with no one else around. We were in our own world. 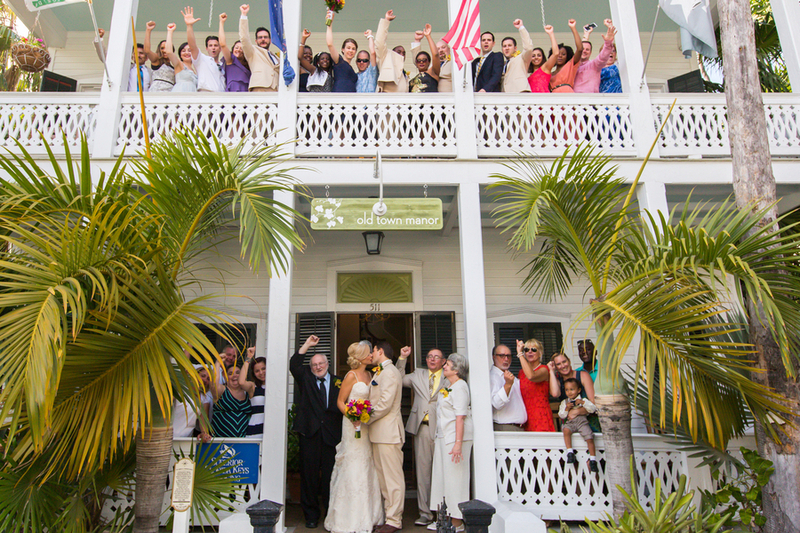 Advice you would give to future brides who are planning a wedding/elopement in Key West – I recommend hiring a wedding planner. 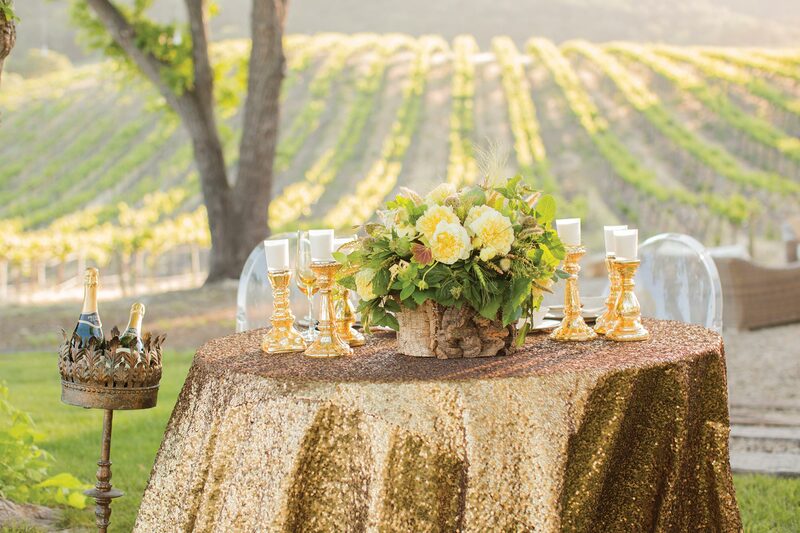 She was so helpful in all aspects and really knew those details that make a wedding run smoothly that those of us that have never done it would not even think to ask. 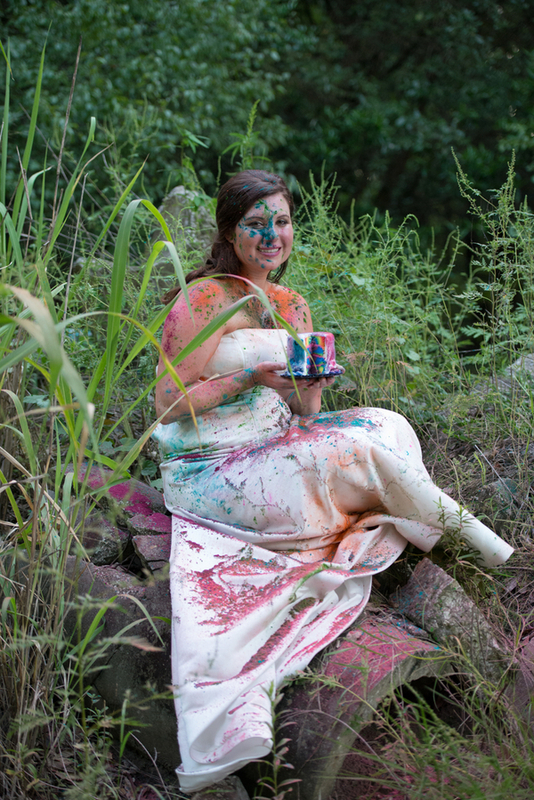 What do you get when you combine glamorous hair and makeup, dreamy floral design, divine cake artistry, and passion for photography… a beautiful collage of a storyboard powder paint trash the dress session! 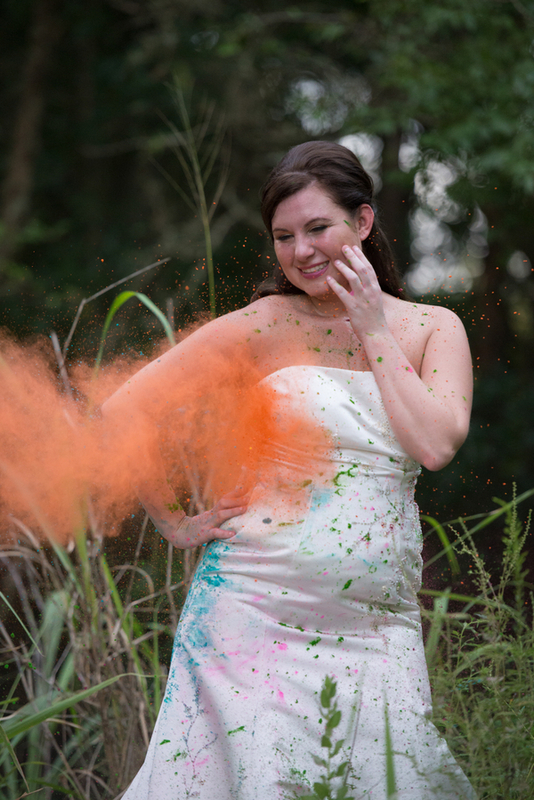 Laura Reynolds with Laura Reynolds Artistry Hair and Makeup reached out to me to help her bring her vision of a vibrant and vivacious trash the dress session to life with the primary focus centered around powder paint. I couldn’t pass up the opportunity to work with Laura, but knew we needed to bring in other creatives to help with the planning and details.Laura reached out to our good friend Katie Scully with Blue Ribbon Wedding & Event design to help with putting together a dreamy, pastel bouquet that every bride would just love to have on her big day. Katie’s expertise in creating the perfect white bouquet to compliment what would be a very vivid colorful session was the perfect detail for our lovely model Jenny Cameron to hold. With floral locked down it was time to move on to a sweet treat. I knew the perfect person to reach out to would be Lia Brigner with Couture Cakes by Lia LLC. Lia’s cake topper was the icing on the cake (literally and figurately) for the last remaining detail. I knew she would be sure to surprise when I told her the canvas would be white with color added… stay tuned for the surprise!Jenny our model was the perfect girl to play the part. 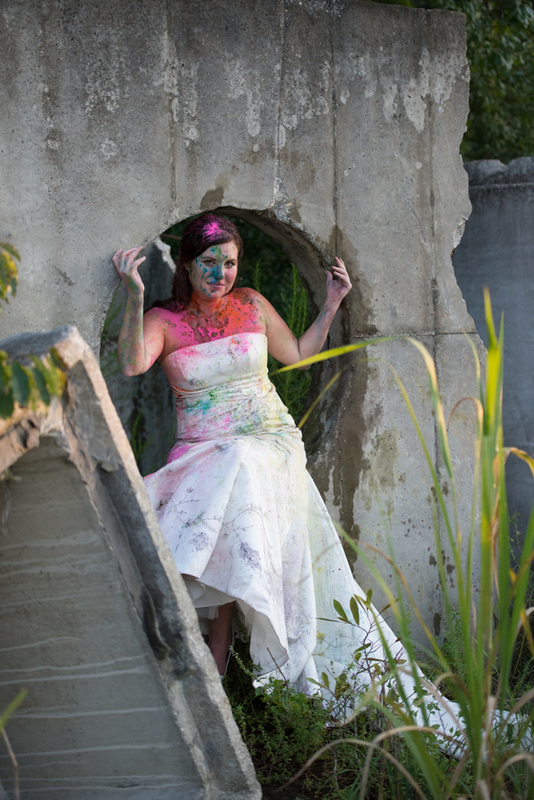 Her vibrant personality and killer smile was the quintessential pairing for our styled shoot! With vendors and a model in place it was time to find a venue. From doing my research, I found a majority of powder paint sessions are done in more of a city setting. I really wanted us to break the mold and went with the complete opposite from an urban to rural local. Little did the girls know what I had in mind. When the date finally came, all four ventured out to meet me at the top secret location. After walking a couple of miles, passing through grassy fields, climbing up a steep hill, and trucking through the sand we made it! Our rural location was filled with exciting background options ranging from steel bars perching out of industrial cement building pieces to a rocky little hill. 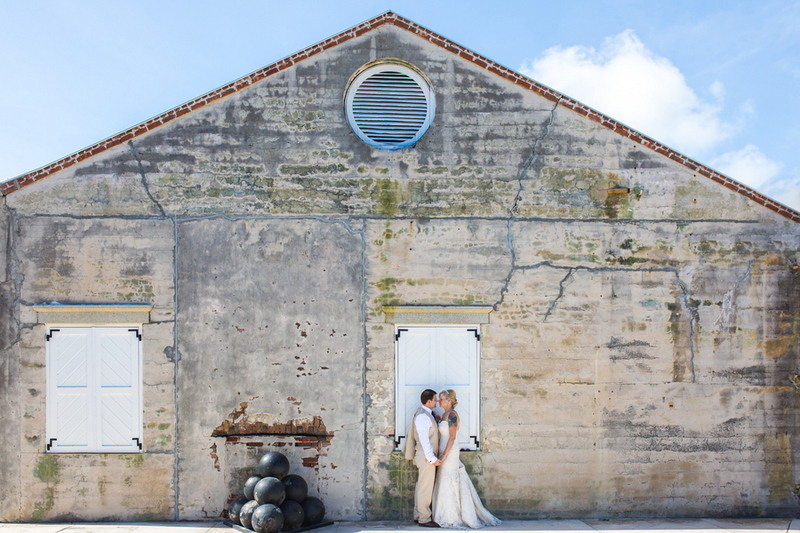 What I love about the location for the styled shoot is that it feels forgotten. Someone at some point left these beautiful pieces of cement and rock without a second thought. With our passion, we were able to transform these backdrops into a beautiful rural industrial setting.The shoot started off with showcasing the blank canvas of the white wedding gown, high-heels, bouquet, cake topper, and the fresh face of our model Jenny with a pop of hot pink lipstick. The natural beauty that comes from combining these these fresh, clean elements together would soon turn into something incredible. Key shots of close ups of each piece and our model were taken before and after.Finishing up with the ‘before’ shots, we moved on to the fun part… powder paint! Two weeks before the session, I started creating gorgeous hues of orange, pink, blue, purple, green, and yellow powder paint and watercolor. 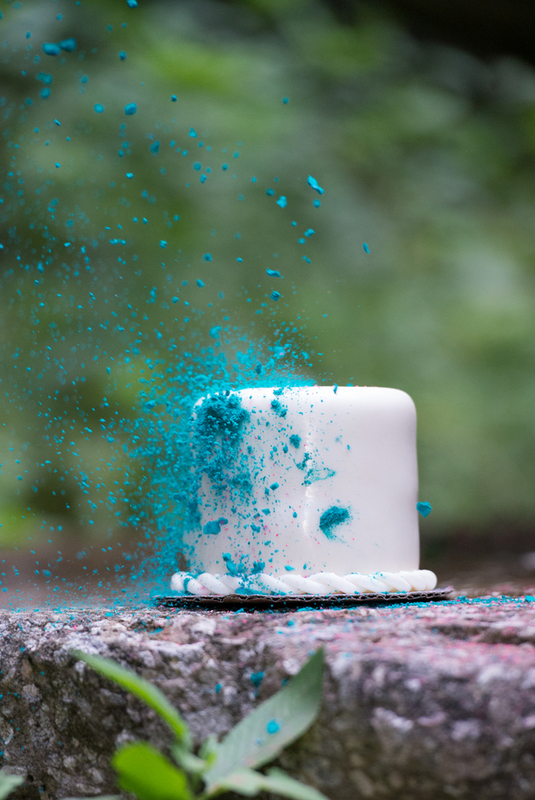 The girls helped with creating the action shots by gently tossing (okay throwing) the powder paint at Lia’s cake and Katie’s bouquet before moving on to Jenny. Laura’s enthusiasm to powder up her bestie was contagious. We all quickly jumped in to help paint our model with the colorful powder.Jenny was such a good sport, especially when it came time for the watercolor. 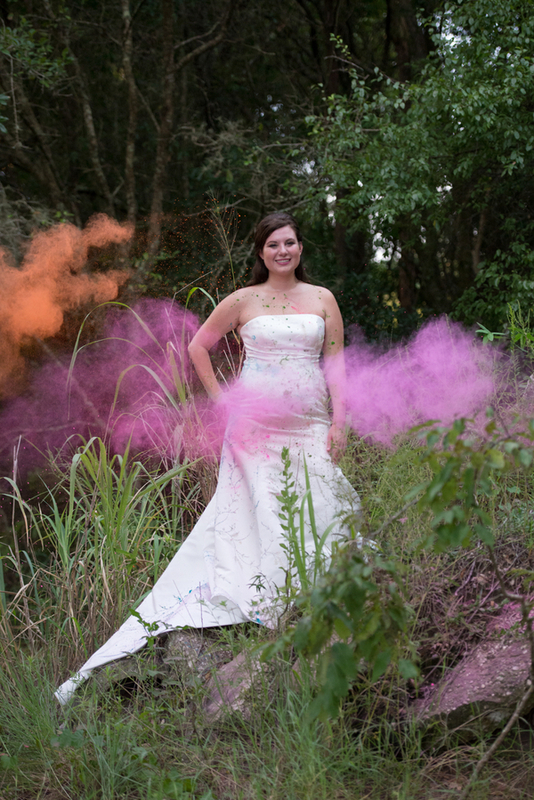 Using a couple of long water sprayers, we mixed a concoction of watercolor with water to give a more splashy look to Jenny’s gown. During the splash-a-thon I was even able to grab a ‘behind the scenes’ shot of Katie and Laura, how cute!After a dash of water color and a bunch of powder paint, it was time to reintroduce the cake and bouquet to our set. Lia surprised us all with cutting into the most vibrant cake topper ever! White on the outside and as vibrantly colored as our model on the inside, we all had to have a bite! 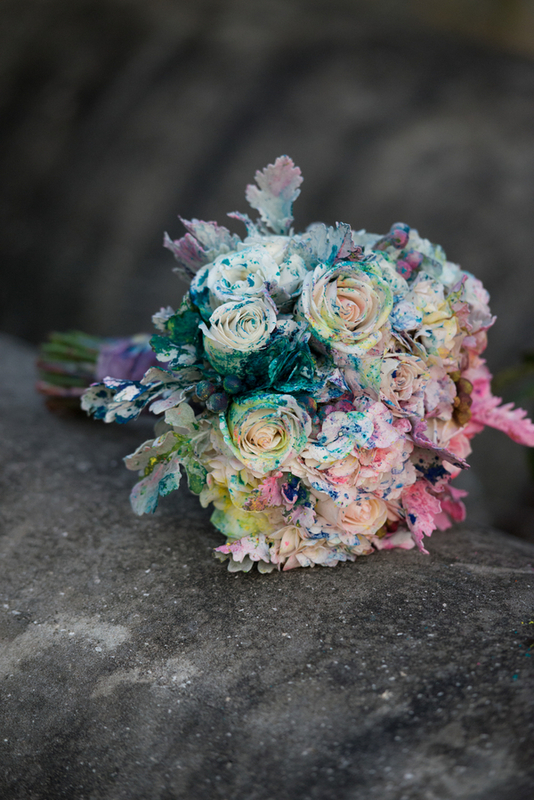 Katie’s bouquet turned into a magical mix of color. Each flower took on it’s own colorful hue and looked perfectly paired with one another.Our session ended with an adorable group selfie and the complete satisfaction that we brought our idea to life!For more information on these incredible vendors, visit their websites below!Laura Reynolds with Laura Reynolds Artistry Hair and MakeupKatie Scully with Blue Ribbon Wedding & Event DesignLia Brigner with Couture Cakes by Lia LLCSamantha Eckhaus with Corner House Photography. 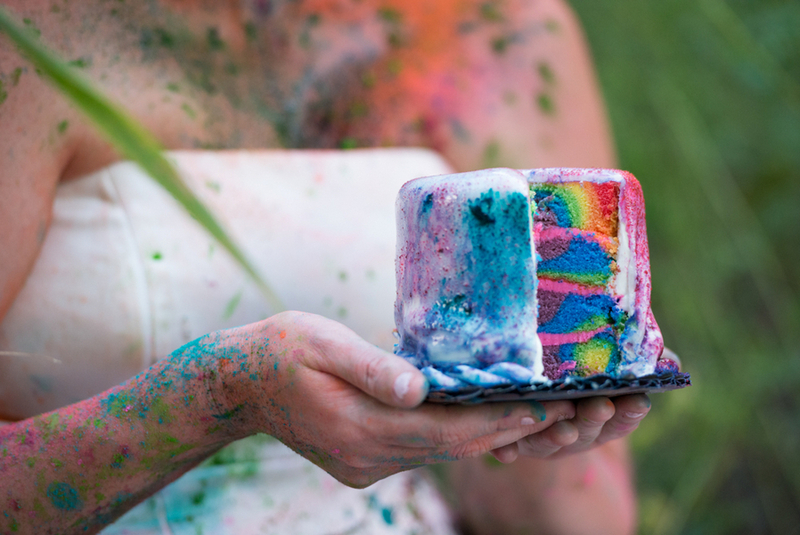 Should you Cut and Serve your Wedding Cake as dessert? So, you have purchased this elaborate and expensive cake and decide to serve it for dessert, immediately following the main course. When choosing this route, you need to keep the following in mind; first, remember your beautiful creation will need to be taken away well in advance, for the Chef to cut up hundreds of pieces. Also, don’t forget to ask what cake cutting fee charges apply. This may mean that the expensive cake you just purchased may be on display for a very short time and end costing you more than planned. Why not consider buying a much smaller or fake cake for display purposes only, and have your baker make a large slab cake that is delivered to the Chef early in the day? Another option that are individual table cakes. 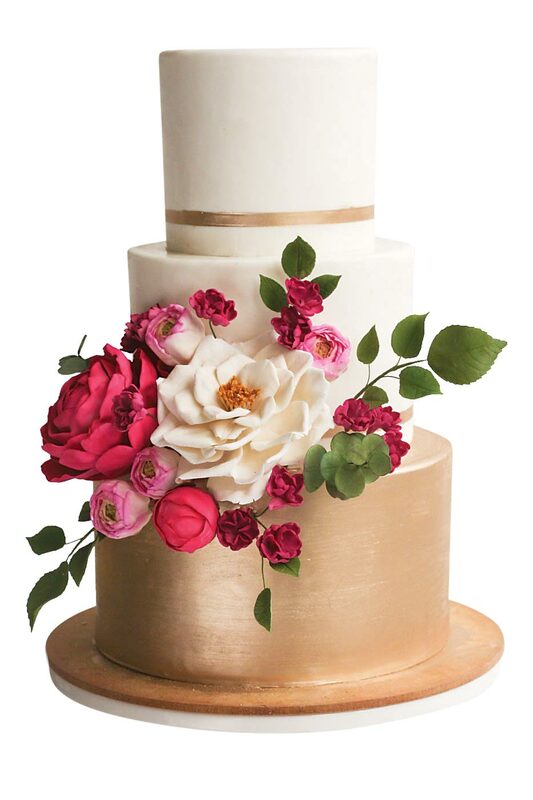 You would have an approximately 10-12 inch round wedding cake in the center of each guest table with flowers on it. 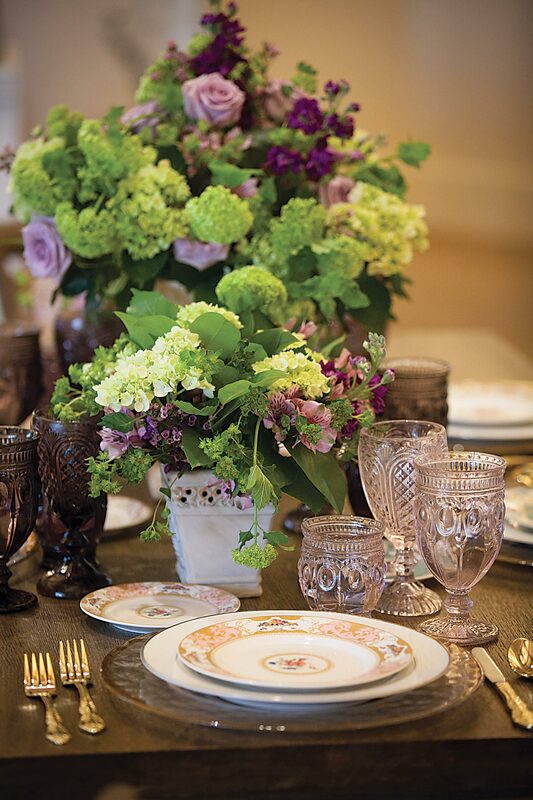 Not only with this be your dessert after the meal but it is also your table centerpiece. It’s a unique idea to consider. 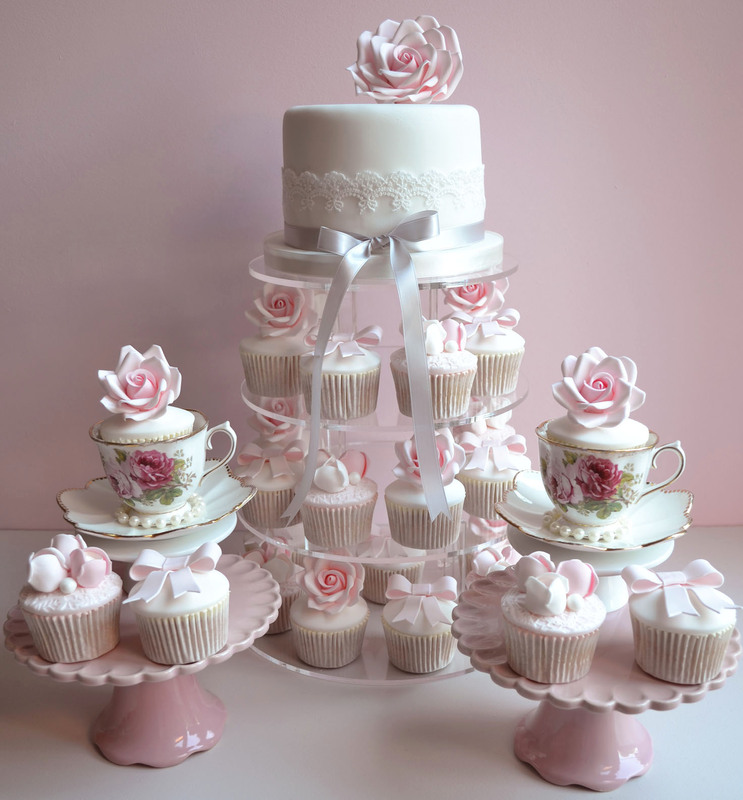 If your dream is to have a 3 or 4 tier (or more!) lavish wedding cake, then I would strongly recommend having the cake cut from a dessert station table in the hall. At least this way, the cake is on the display for a few hours for all to see and they get another snack late in the evening. You can even make it a highlight of the evening as you invite your guests to sip champagne and watch you cut the first piece. 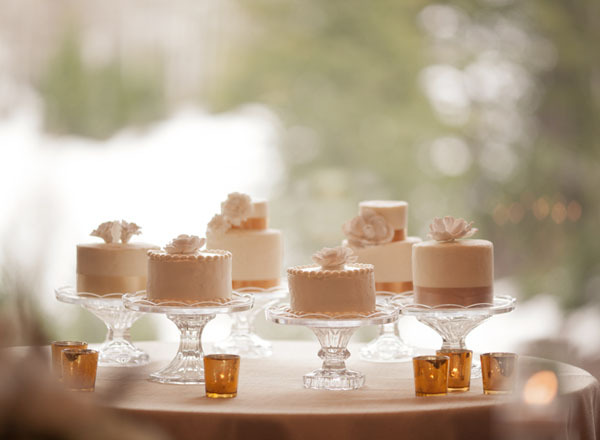 I do feel compelled to tell you that in all of my hundreds of weddings, I would say most wedding cakes are hardly touched , especially if there is a pastry table set up along side of the cake. 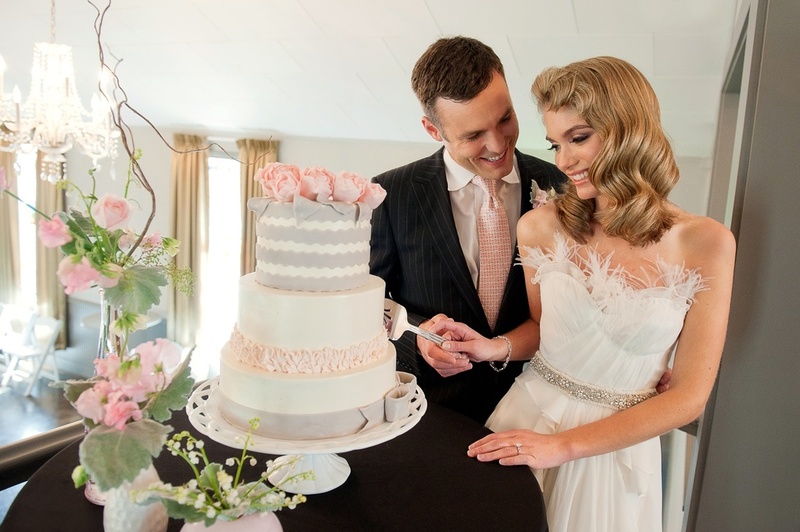 We end up packing the cake up for the bride/groom to take home – so be careful how much cake is ordered. 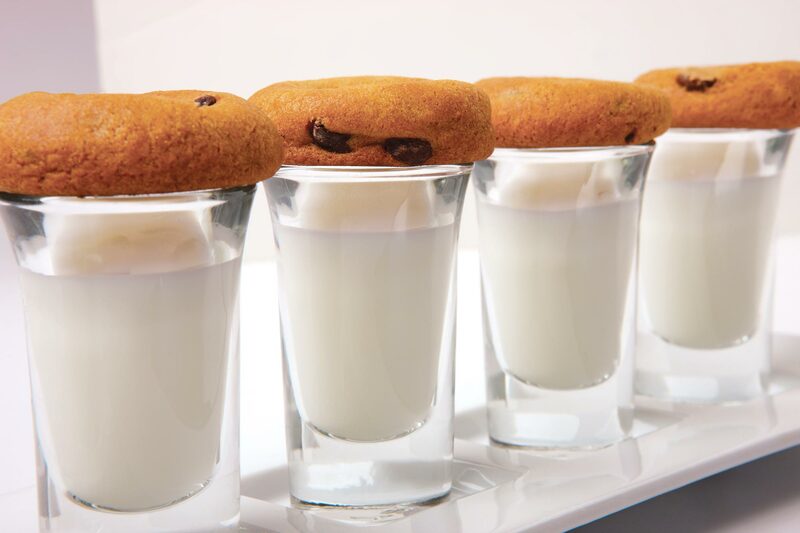 If you have a wedding for 200 people and you are serving the cake from a table late in the evening you only need to have the cake serve about 60% of your guest in attendance. Obviously this would not apply if you are serving it as your main dessert. 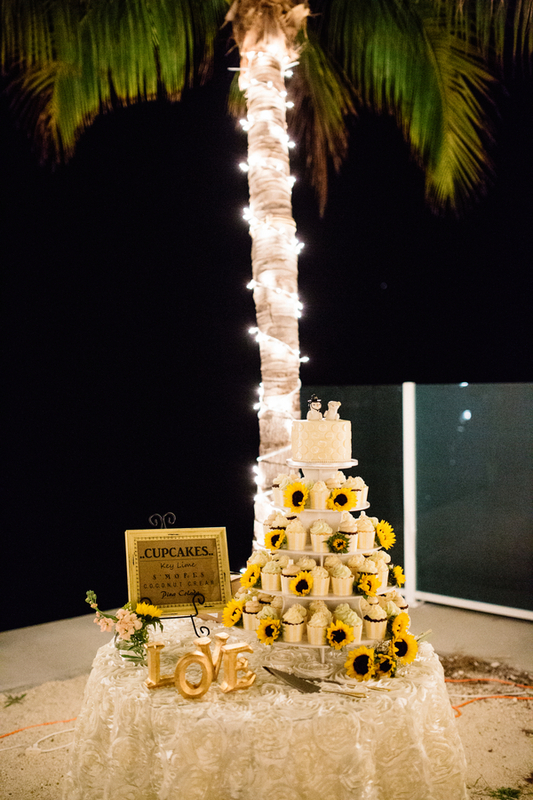 More and more guests prefer the “cupcake style” wedding cake. I think it’s because they can grab one on the way to the dance floor, plus they are decorated so pretty now you just have to take one. Look at various bakers in your area and see what the prices are. Remember, most if not all places should be able to make you a small sample cake to taste before you buy. Bon Appetite!